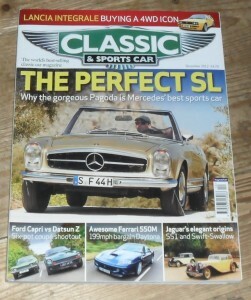 December 2012 of the British Magazine, Classic and Sports Car. 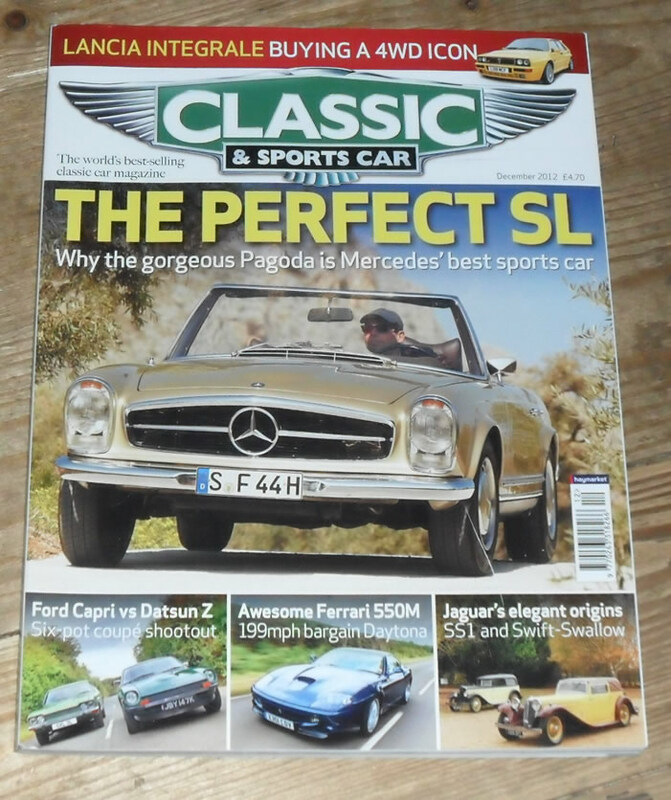 The cover feature of this issue is the Mercedes SL. Other articles include items on the Ferrari 550M, Ford Capri vs Datsun 240Z, Jaguar SS1 and Swift Swallow, Lancia Delta Integrale and many more.